Carrie Bradshaw lived in one. So did Holly Golightly. 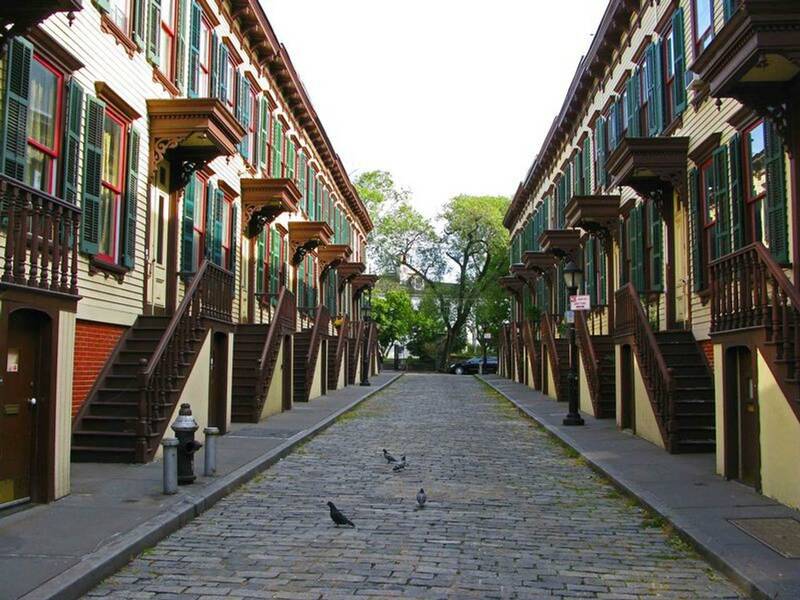 Whether in Harlem or Brooklyn, uptown or down, brownstone or row house, there is just nothing like the feel of a true New York townhouse. For that reason, we’ve chosen a few really exceptional townhouses you can rent on Airbnb so you can have your own Carrie moment! 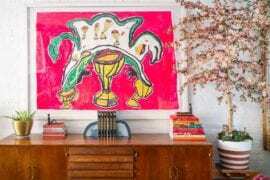 You’ll be amazed by their history, their interiors, and status as icons of the city. Wrap this around your head: When this Airbnb was built, Queen Victoria was still alive. Although, looking at the incredible mahogany details, the lush hardwood floors, and high ceilings, it actually might not be that surprising. Luckily, thanks to the modern public transport (there’s a bus stop literally right outside the house), you can be pretty much anywhere in the city in just a few minutes as the nearest subway is just three minutes away. 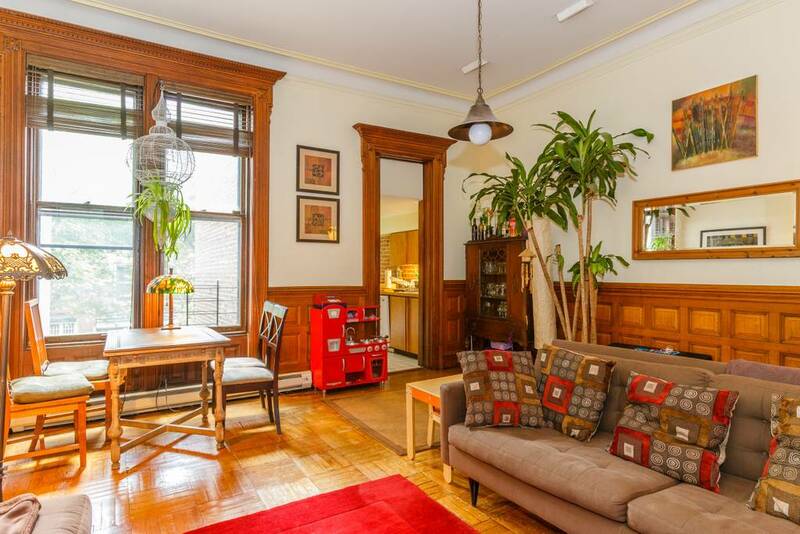 You’ll be right near Columbia University on a street of equally beautiful brownstones. As you won’t have access to the kitchen (just your bedroom and a shared bath), you’ll probably be eating out a lot so we recommend Tom’s Restaurant for breakfast (that’s the diner that was used in Seinfeld), the Smoke Jazz and Supper Club for both dinner and entertainment. 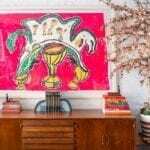 Check out an exhibit at the Studio Museum in Harlem or at the Wallach Art Gallery. Queen Victoria herself would have loved it here! OK, Hamiliton fans, hold on to your hats: it’s rumored that Lin-Manuel Miranda wrote both “Wait for It” and “The Room Where it Happens” in the nearby Morris-Jumel house and while we can’t guarantee you’ll compose a Tony award-winning hit here, we can guarantee that this will be one of the most special and historic places you’ll ever rest your head. Built in 1882 from part of the Jumel estate, these adorable little houses have been through a lot restorationally speaking, but they made it through and are some of New York’s most desirable real estate. 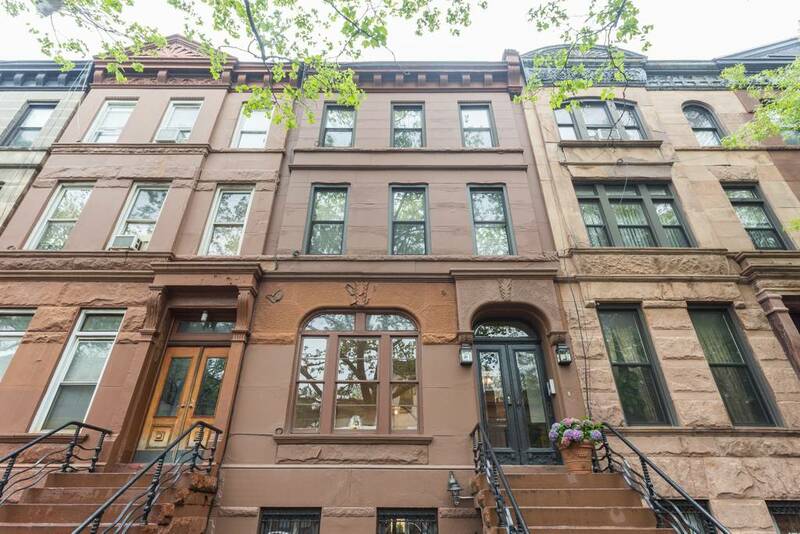 Appearing in movies and television shows (fans of “Boardwalk Empire” will recognize them), these picture-perfect homes are located in Washington Heights and are within walking district of Yankee Stadium as well as the famous Little Red Lighthouse up near Fort Washington Park. We also strongly recommend the Hispanic Museum & Library which would be worth seeing even if it didn’t have a single piece of art in it. For food, we strongly recommend Maison Harlem for great French fare. They should call this place “The Airbnb Where it Happens”! While Brownstones are often associated with dark woods and ornate details, this one is as light and airy as any modern New York apartment. Located just steps from Saratoga Park, this three-bedroom, two-and-a-half bath Airbnb is owned by an interior designer which isn’t really that surprising given how gorgeous it is. Outfitted with Bosch appliances and all the major modern amenities like wifi and air conditioning, this is a great place for a family vacation. If you do come with kids, you’ll be right near the Brooklyn Children’s Museum, Brooklyn Academy of Music, the Prospect Park Zoo, and just a quick subway ride to Coney Island. For food we strongly recommend the chicken and waffles at Butch & Coco and anything at Bed Stuy Fish Fry. If you haven’t been, we also recommend a visit to the Weeksville Heritage Center which always has at least one really fascinating exhibit running and then come home and have a drink on that fantastic terrace and recount your day! Given the incredible amount of space this newly renovated New York Airbnb offers, it’s astounding this place is only $200 a night. The kitchen alone is the size of most New York apartments and there’s a washer and dryer on the premises which, in this city, is kind of like having a unicorn who lives in the basement. With two bedroom and one-and-a-half baths, this is a great place to stay with a family, especially since it’s so close to the subway. 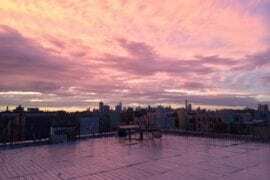 In the middle of Bedford-Stuyvesant (otherwise known as “Bed-Stuy”) this Brooklyn Airbnb will put you near all the great Brooklyn neighborhoods like Prospect Heights, Brooklyn Heights, Park Slope, Boerum Hill, Dumbo, and Williamsburg. 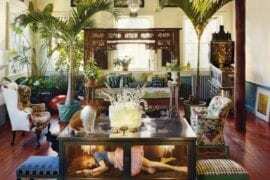 In addition to that enormous kitchen, it also has a 900-foot private landscape garden with plenty of sitting room. And if you’re lucky that unicorn might come out of the basement and join you for a drink! If there is a cozier property on all of Airbnb in this, or any other city, we can’t imagine what it would be. 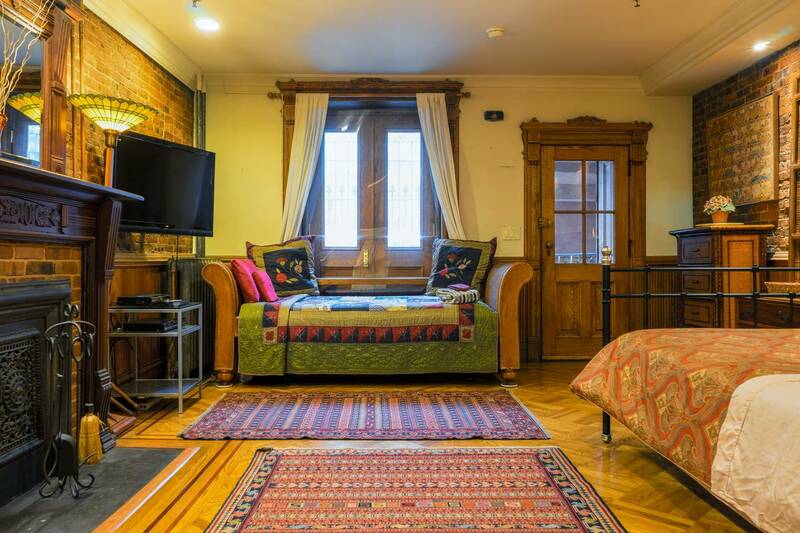 This one-bedroom, studio New York Airbnb was built in 1895 and, amazingly is only $42 a night and if you’re ever been concerned about all the stories you hear regarding crime in New York, keep in mind that this place is located between a police station and a police academy. 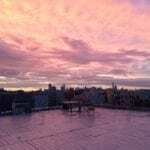 You’ll be right near one of the city’s most glorious and under-visited parks, Morningside Park not to mention Riverside Park, St. Nicholas Park, and the big Kahuna, Central Park. You’ll also be near the Manhattan School of Music which is a great place to take in a classical music concert as is the obscure Nicholas Roerich Museum. You’ll also be pretty close to Lincoln Center where you can see the American Ballet Theater in action or take in a performance at Julliard. For $42 a night, this is one heck of a bargain! We almost can’t with these built-ins. 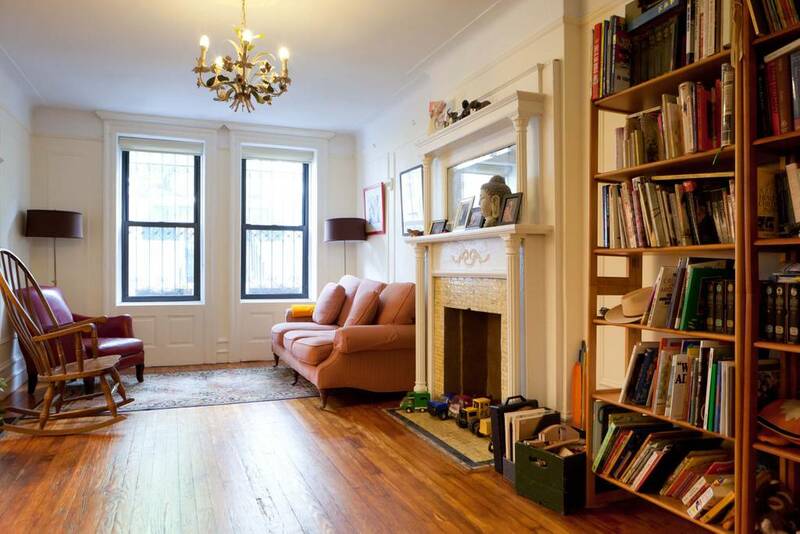 Located on the Upper West Side, this classic New York brownstone will put you within a short subway ride or even walk of so many equally classic New York attractions. You’ll be right near the Grand Bazaar, a huge flea market of more than 100 vendors, this fantastic market is in full force all year long. You’ll also be close to the New York Historical Society which is one of Manhattan’s most underrated museums in our opinion. If you’re here during the summer, we strongly recommend seeing a show at the Delacorte Theater in Central Park or have a truly classic experience at the newly re-opened Tavern on the Green. If you’re a super shopper spend some time at the Bloomingdale’s outlet which a lot of New Yorkers don’t’ even know exists. Like a lot of our townhouses, this one has a great outdoor area where you can just unwind after a long day of dealing with the city. 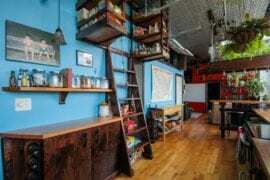 How could any New York Airbnb be more perfect for a family? With room for eight in five bedroom and two-and-a-half baths over four floors, this townhouse is the perfect place to make sure you all have enough room. With a fully equipped kitchen, dining room, living room, backyard, the most insane built-ins and walk-through closets you’ve ever seen in your life and no less than seven fireplaces, it would be tough to find a townhouse fantasy this place doesn’t fulfill. And as if all that weren’t enough, there is a huge playroom/art room that is almost floor-to-ceiling blackboard. 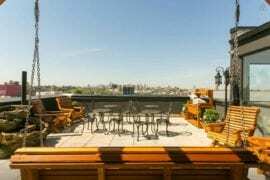 Located in the Sugar Hill section of Harlem, this Airbnb is close to the Dance Theater of Harlem which is one of the city’s best companies. Check out the Audubon Mural Project, a series of street art pieces that highlight endangered birds. 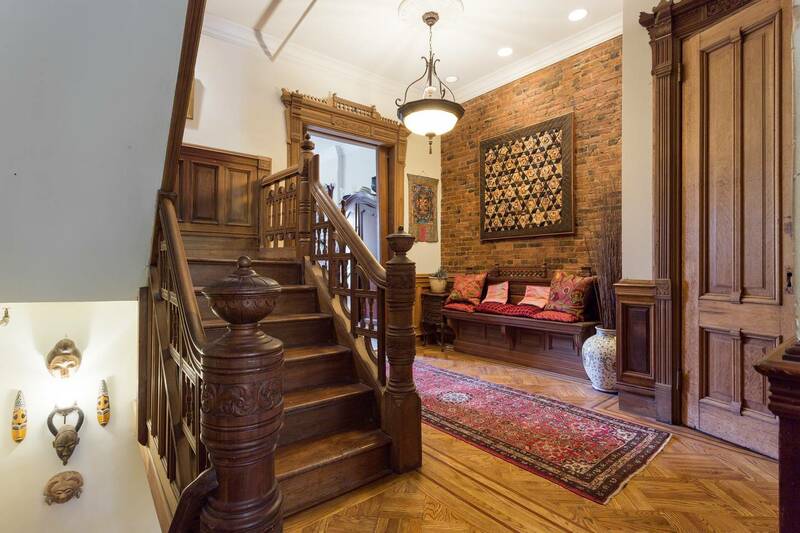 If you’re a film buff you’ll want to walk down to 144th and Convent and check out the house that was the star of “The Royal Tennebaums” although you may not find it all that much more incredible than your Airbnb! A former synagogue, this remarkable Airbnb must be one of the most remarkable Airbnbs in the city. Renovated in 2005 by designers from Ian Schrager hotels, this has to be the world’s snazziest former synagogue. 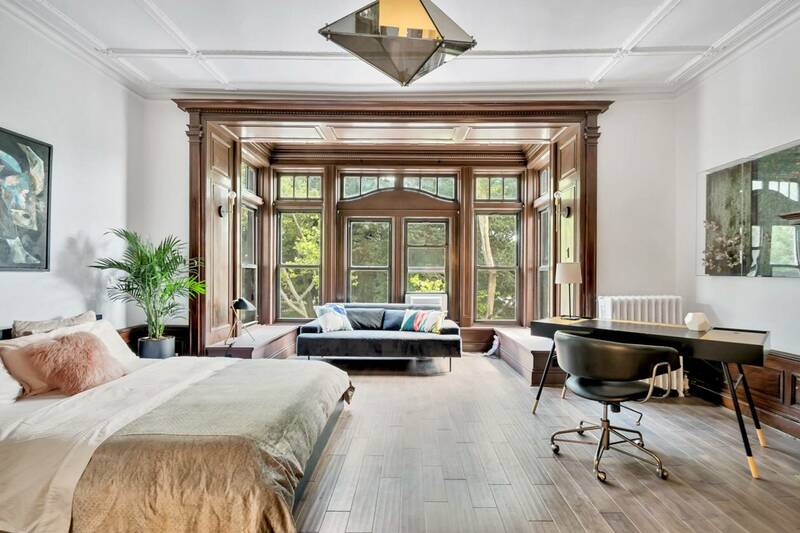 From the décor, which pays homage to this Airbnb’s former life with star of David custom windows, to the amenities (steam room, anyone? 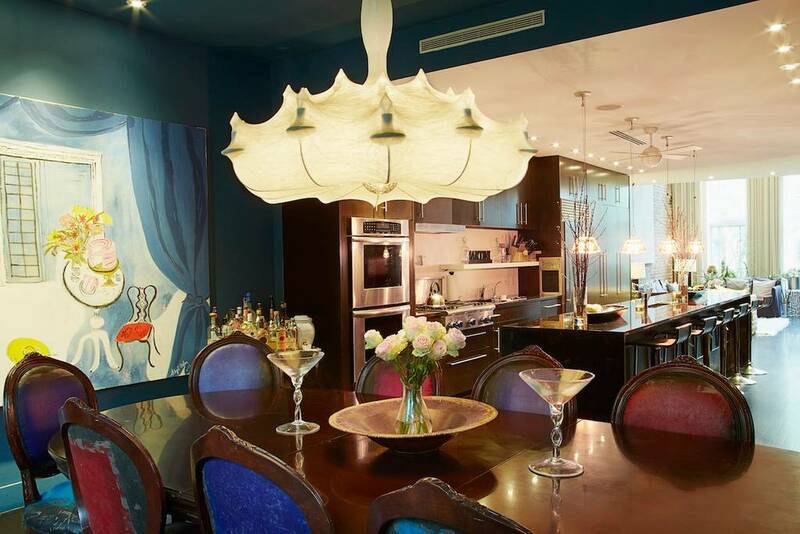 ), this four-level townhouse has been a favorite of celebs and magazines alike. Between the hand-poured Brazilian glass mosaic tiles, 22-foot cathedral ceilings, built-in projector, Jacuzzi, “Zen master terrace” with a hot tub for eight, media room, and security cameras, it’s hard to say what this place doesn’t have. Incredible floor-to-(almost) ceiling glass windows in the living room allow the light to just flood in and the whimsical mural in the dining room just begs to be posted on Instagram. There’s a fantastic little library as well as a wine storage room not to mention no less than three outdoor terraces. 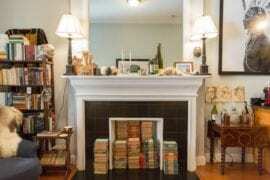 It’s clear this is one townhouse that has been and will always be, completely divine!